Empire of Books: Geekhood Blog Tour! 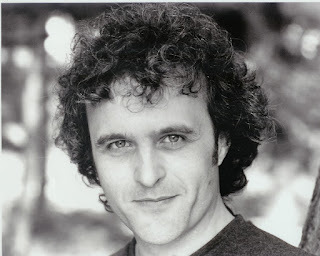 I am very honoured today to welcome Andy Robb to Empire of Books today! He's the author of the brilliantly funny Geekhood, and today he tells us about how he became an author! The A, B and C of Becoming an Author… The Andy Robb way! 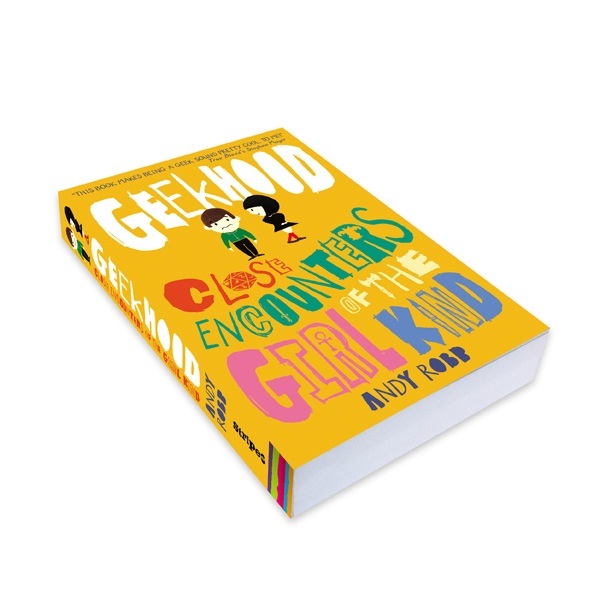 Here I am, all nervous and sweaty on the eve of National Geek Pride Day, trying not to think about the impending Launch of my book, Geekhood: Close Encounters of the Girl Kind. Which happens tonight. 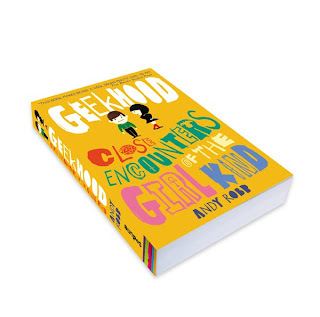 Geekhood entered its final journey to becoming a real, live book about a year ago and it kind of got me thinking about the journey that has got me to this nervous, sweaty – but excited – place. When you do Showing Off for a living, you have to take on other jobs, because Madame Showbiz can be fickle with her affections. One of the jobs I was doing, to fill the lengthening gaps between acting jobs, was working as an on-set film-caterer. A guy I know runs a Craft Services outfit – which is a posh way of saying ‘caterer.’ Having said that, the difference is that, while the caterers cook breakfast, lunch and dinner for the whole crew, the Craft Services bunch are open all day, providing food and drink for anyone who’s missed those meals or is just a bit hungry. But, you also get to cook for the grown-ups: the producers, the director and the lead actors (Jennifer Anniston has eaten my Ginger Muffins). We were working on the set of a film called Sunshine and there was a guy who kept coming to our kitchen for snacks and buckets of coffee. We liked to serve up food with a difference and I was making chilli bread one day and this chap commented on the chillies we were using and said he’d bring in a smoked habanero the next day. Whoever this mysterious man was, he knew his chillies and was obviously important, because there were always people hanging off him. The next day, he brought his chilli in and we chatted about how to use it (it ended up going in a dessert). As he walked away, I turned to the head chef and asked who he was. Alex Garland. Who also wrote The Beach and The Tesseract. I’d been writing for a while, as a personal challenge more than anything else. Mostly, I’d been trying my hand at TV treatments and had a meeting coming up with Disney about a proposal (I know! Disney!). Now, I’ve done that thing where you see someone in the street who’s off the telly or who you think is cool and walked past them, cursing yourself for not being brave enough to say something. But here was a big, fat, literary opportunity staring me in the face: I had an ‘in’ with the Disney thing and decided to ask his advice. I think I gabbled a lot, through nerves. I was also aware that Alex has a bit of reputation for being ‘private’. ‘Private’ is the word they seem to use in literary circles. In Showbiz circles, it’s known as ‘grumpy’. Thankfully, Alex was neither: he listened and made a few constructive comments about dealing with big companies and then we started chatting about other writing and I mentioned I was working on a book. “Don’t tell me about it,” he said. But, Mr I’m-Not-Grumpy-Really Garland said, if I put a one-page pitch together and showed it to me, he’d have a look. So I did. And, the next day, he gave it the once-over. And he did. I waited a while and then got a call from Jenny Savill at Andrew Nurnberg’s asking to see more chapters. So I sent them. After another while, I got a phone-call, asking if I’d like to go for a meeting. I don’t remember much about that meeting, other than I was in Babble Mode; I do remember telling them that I still read The Beano and kicking myself as I did it. But, it worked. A few days later, I got a call from Jenny offering to represent me and suddenly I was a writer with an agent. I’m fully aware that it takes some people a long time to get agented; a lot of struggle and heartache. I have been impossibly lucky in my situation; I wasn’t actively pursuing a writing career and things just sort of fell into my lap. But, because of that, I am approaching it with a Very Serious head on: I don’t want to appear devil-may-care about the whole thing, because that would be insulting to everyone who’s still chipping away at the cliff-face. Geekhood got its act together at the end of 2010. After a few nips and tucks, it ended up on Stripes’ desk in March 2011. A year later, I’m staring down the barrel of a Launch Party and in the throes of winding up Geekhood 2. I did and I have this ridiculous little vision of The Great Alex Garland going into a bookshop and asking for my humble offering. Now that’s cool. decides to roll the dice and stop me for a chat, I might be able to do something, like Alex did for me. But, I warn you: I babble a lot.